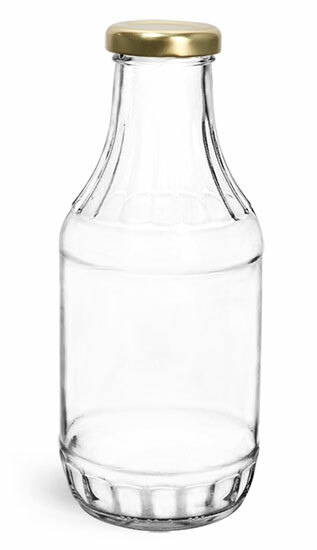 Our 16 oz clear glass sauce decanter bottles are available with gold metal lug caps. When properly heated and cooled, these gold plastisol lined caps create a hermetic seal with the glass bottles to help keep products fresh and offer tamper evidence. 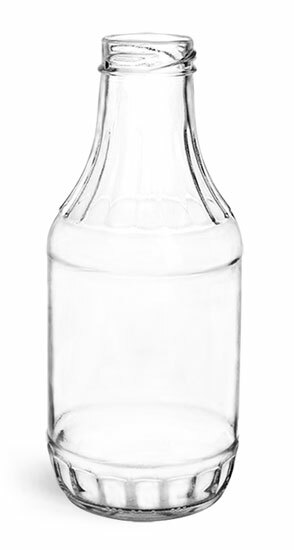 These glass bottles might be used as barbecue sauce bottles, marinade bottles, salad dressing bottles and more!